We've all been dying for the moment-- Korg steps up, and releases something full fledged and analog, after the efforts of the Monotron and Monotribe. Finally, the day has come, and not just in the form of a Monotron XL, or Monotribe + keyboard. A full on recreation of the original Korg MS-20, redesigned at 85% of its original size. Although it was taken down, an official German Korg page listed the Mini MS-20 as a product, complete with full specs. 85% of the original size, all analog, parts chosen to reflect the original MS-20, USB and MIDI, and the design is supposedly made by the designers of the original. It is also set to come with throw-back style packaging and patch diagrams, just like the original. The best part? Estimated price is somewhere between $600-800. Listed at 600 euros, the current exchange rate puts this at $800 but we could see it fall a bit as the European prices are often higher than the US's. I don't know what else to say, besides the fact that this thing is a surefire hit if it manages to stick in that price. The MS-20 is beloved to this day, and most customers aren't willing to pony up $1500 for one. Watch out for more details and sounds from NAMM this weekend! Presented in 1978, the MS-20 monophonic synthesizer, thanks to its rich, robust sound, his powerful, iconic analog filters and flexible patching options to be popular today. The typical sounds of the original MS-20, the Korg MS-20 synthesizer plug-in the Legacy Collection and the iMS-20 app for the iPad, now attracting more than 300,000 users. Now the sounds of the MS-20, MS-20 are in the mini wakes to new life. The same engineers who developed the 1978 MS-20, today's circuits reproduced faithfully and its physical size reduced to 86% of the original size, without changing the traditional and timeless look of the model or to waive details! The MS-20 mini fascinated today with absolutely authentic analog synthesizer sounds of his ancestors. 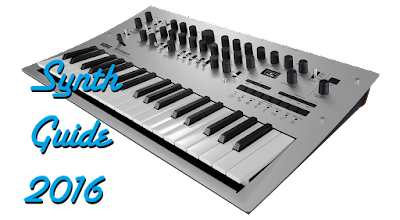 The 50-year anniversary KORG we again engaged in an analogue synth and this effort to create flowing parameter settings that characterize analog synthesizer especially. The original specifications of the MS-20 should remain intact. The developed by us 35 years ago, analog circuits still deliver the same unbeatable, powerful sound, from the lowest bass to the extreme heights. 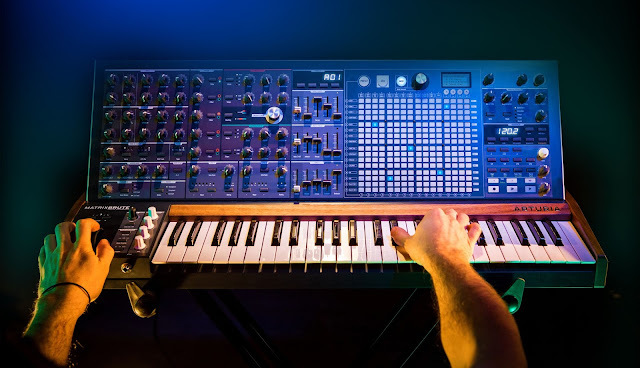 To experience the depth of the MS-20 mini, you have to play it yourself! Non-locking switch output (-> GND)"